Uno speciale volume, curato dal fotografo norvegese Geir Egil Bergjord, racconta per immagini la straordinaria casa dei suoni - a Parigi, in Rue de Toul - dove da quarant'anni vive e lavora il compositore Pierre Henry: lo pubblica Gilka Forlag/Fage Editions, in un'edizione limitata a cinquecento copie che include anche un cd con quattro composizioni inedite. 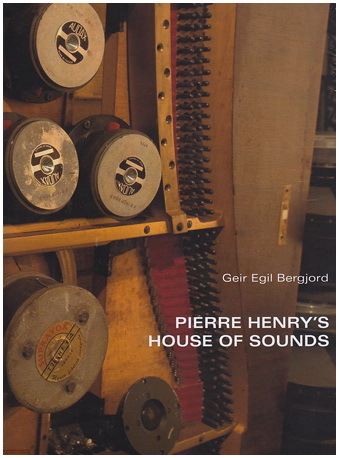 Pierre Henry is widely acknowledged as a pioneer of musique concrète, creating some of the genre's earliest known compositions in cooperation with Pierre Schaeffer at the Club d'Essai studio at France's national Radio and TV facilities, and creating an immense, definitive body of experimental electronic music with special emphasis on spatialisation during his illustrious lifetime. This book largely comprises photographs of his vintage equipment, unique instruments, stacks (and stacks) of tapes, artwork and his famous house/studio, together with notes and a short biography by Maurice Fleuret. His four unreleased compositions 'Capriccio', 'Phrases de quatuor', 'Miroirs du temps' and 'Envol' were all created between 2000 and 2010, including a score for choreography, a sound poem, and a tribute to Olivier Messiaen.